Lots of lively Irish music happening right now at this festival. Watched the 30th parade and dignitaries — the Mayor, Councilmen Cunningham & Fimbres and Grand Marshall Robin McArdle (former Ward 3 council aide), with the McArdle Clan at the end. 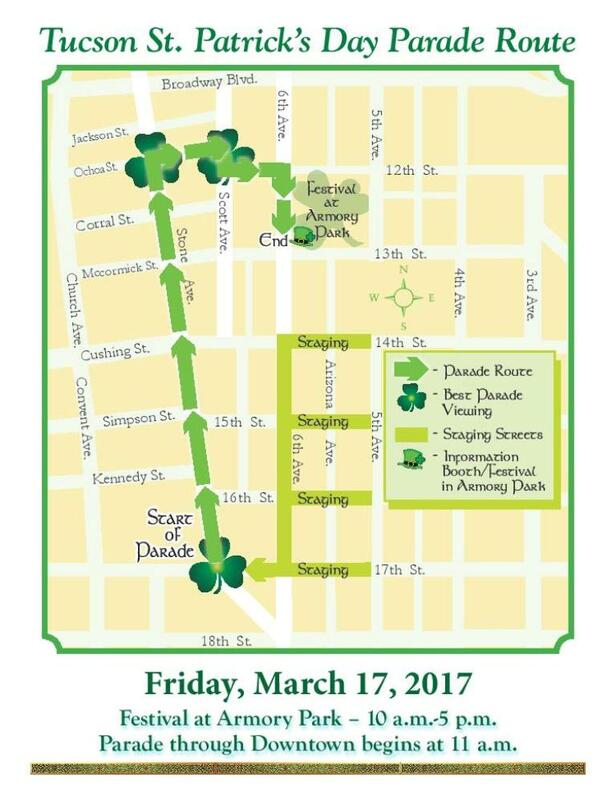 St. Patrick (in costume) walked the parade route as well. Ate shepherd’s pie (hearty ground beef with mash), boiled cabbage and shortbread cookies for lunch, from a food truck at the festival. 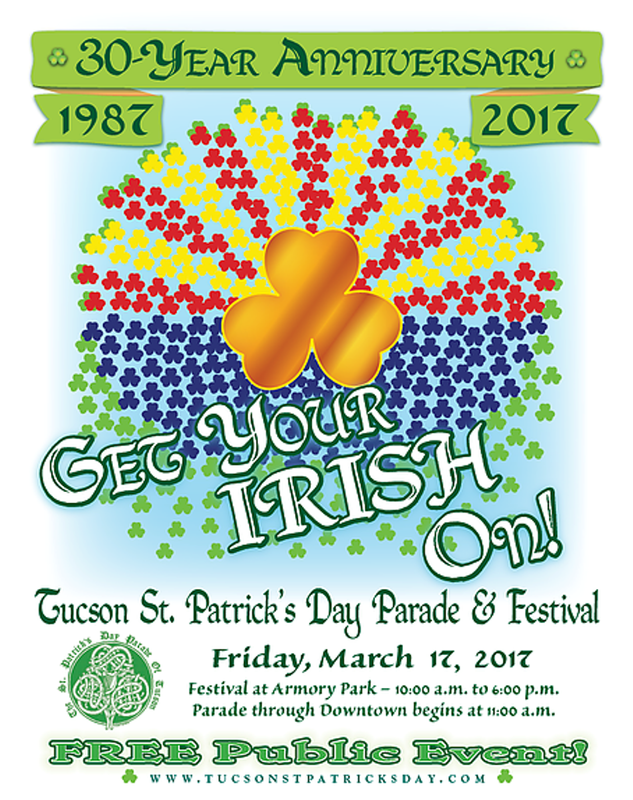 Wear green all day, fest goes to 6 p.m.